Unless preventative measures are taken, a new dementia patient will be diagnosed in Canada every two minutes of the next 30 years. 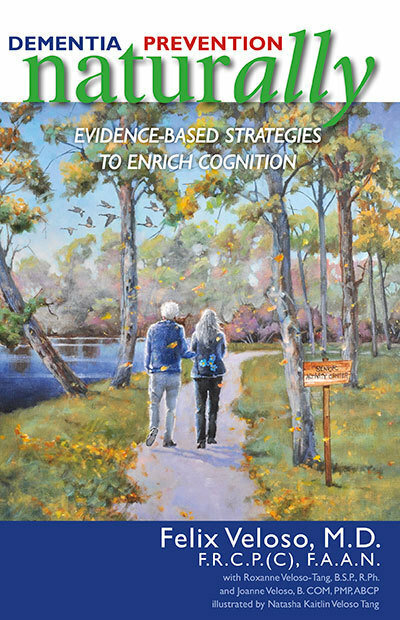 Dementia Prevention Naturally provides evidence-based natural, healthy lifestyle strategies that can slow progression of cognitive impairment (so you will not develop dementia in your lifetime). By (author):Felix Veloso, M.D., F.R.C.P. (C), F.A.A.N.